Q: It seems to me that in your talks you use the words 'naturally' and 'accidentally' indiscriminately. cause, is surely an exaggeration. M: Would you like it better if I use the word 'spontaneous' instead of 'accidental'? M: Is not life itself a stream of surprises? Q: There is harmony in nature. The accidental is a disturbance. mind. What you like, you call 'natural' and what you dislike, you call 'accidental'. seen as one. For, in fact, everything is most wonderfully inexplicable! we live and move. the known is the past. natural, ruled by law, while the disintegrated are chaotic and subject to accidents. M: The very idea of chaos presupposes the sense of the orderly, the organic, the inter-related. Chaos and cosmos: are they not two aspects of the same state? Q: But you seem to say that all is chaos, accidental, unpredictable. M: Yes, in the sense that not all the laws of being are known and not all events are predictable. mentally. Reality is good and beautiful; we create the chaos. have not yet discussed free will. M: Your order is what gives you pleasure and disorder is what gives you pain. M: What makes you believe that you are a separate individual? relation to myself. In short, I am busy with myself. M: Well, go on being busy with yourself. On what business have you come here? it. Can you help me? Q: But the now has no dimension. I shall become a nobody, a nothing ! wrong. What to one is a chaotic stream of sounds is a beautiful poem to another. the mind. When the 'I am myself' goes, the 'I am all' comes. When the 'I am all' goes, 'I am' comes. because in it all goals are reached and all purposes fulfilled. Absolutely fantastic isnt it ? I particularly love "moment by moment you are renewing it" ! That is a very powerful statement. 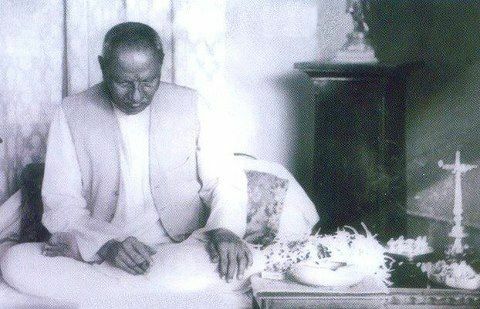 Sayings and teachings of Sri Nissargadatta maharaj are wonderful indeed. Yes,indeed! Maharaj's words are so potent and powerful,that they shake the very ground on which we are standing. After all,those are the words of Truth,and He is such a strong character. Something between Bhagavan and some fierce Zen Master . Thank You dear Sri Udai! Before death, be the Highest, be the Infinite, the Absolute. Q: We are told of the great avatars, the saviors of the world. M: Did they save? They have come and gone -- and the world plods on. Of course, they did a lot and opened new dimensions in the human mind. But to talk of saving the world is an exaggeration. Q: Is there no salvation for the world? M: Which world do you want to save? The world of your own projection? Save it yourself. My world? Show me my world and I shall deal with it. I am not aware of any world separate from myself, which I am free to save or not to save. What business have you with saving the world, when all the world needs is to be saved from YOU? Get out of the picture and see whether there is anything left to save. Q: You seem to stress the point that without you your world would not have existed and therefore the only thing you can do for it is to wind up the show. This is not a way out. Even if the world were of my own creation, this knowledge does not save it. It only explains it. The question remains: why did I create such a wretched world and what can I do to change it? You seem to say: forget it all and admire your own glory. Surely, you don't mean it. The description of a disease and its causes does not cure it. What we need is the right medicine. M: The description and causation are the remedy for a disease caused by obtuseness and stupidity. Just like a deficiency disease is cured through the supply of the missing factor, so are the diseases of living cured by a good dose of intelligent detachment. 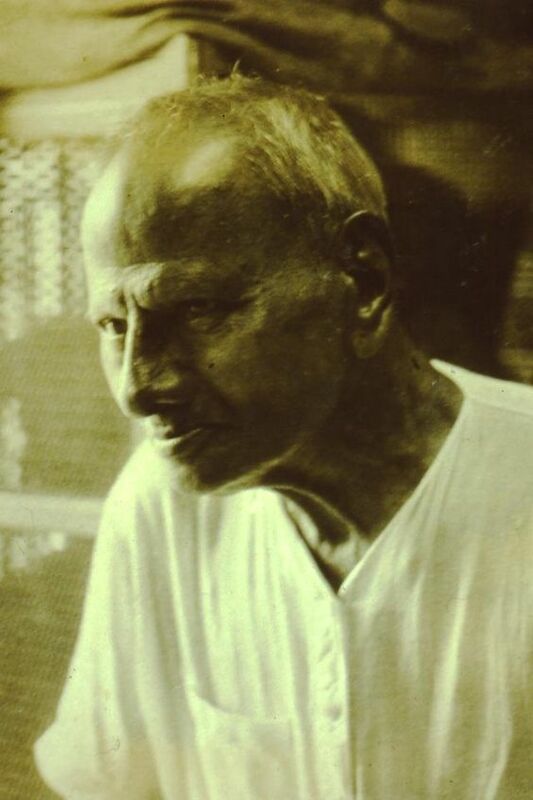 (viveka-vairagya). Q: You cannot save the world by preaching counsels of perfection. People are as they are. Must they suffer? M: As long as they are as they are, there is no escape from suffering. Remove the sense of separateness and there will be no conflict. Liberation is never of the person, it is from the person. Q: To integrate and strengthen the mind is not an easy task! How does one begin? M: You can start only from where you are. You are here and now, you cannot get out of here and now. Q: But what can I do here and now? M: You can be aware of your being -- here and now. M: That is all. There is nothing more to it. Q: All my waking and dreaming I am conscious of myself. It does not help me much. M: You were aware of thinking, feeling, doing. You were not aware of your being. M: Weak-mindedness is due to lack of intelligence, of understanding, which again is the result of non-awareness. By striving for awareness you bring your mind together and strengthen it. M: You are mistaken. What is going on is a projection of your mind. A weak mind cannot control its own projections. Be aware, therefore, of your mind and its projections. You cannot control what you do not know. On the other hand, knowledge gives power. In practice, it is very simple. To control yourself -- know yourself. M: There is no chaos in the world, except the chaos which your mind creates. It is self-created in the sense that at its very center is the false idea of oneself as a thing different and separate from other things. In reality, you are not a thing, nor separate. You are the infinite potentiality; the inexhaustible possibility. Because you are, all can be. The universe is but a partial manifestation of your limitless capacity to become. He is that ever prevailing principle which witness appearance and disappearance of the unreal. My talks lead to subtle knowledge, which is difficult to register and retain in memory. even Parabrahman has to be reminded. In the process of understanding in this way I (Maharaj) got annihilated. Q: Where does this need of consciousness to see itself as everything come from? M: You know that you are, and you love to be, hence the necessity. Although you have been saying that you under?stood, there is some hitch somewhere, isn't there? Q: One card. I am holding back one card. M: Throw it out! Where is the loss? Give up the game. You listen to my talks or don't listen. You come here or don?t come here. 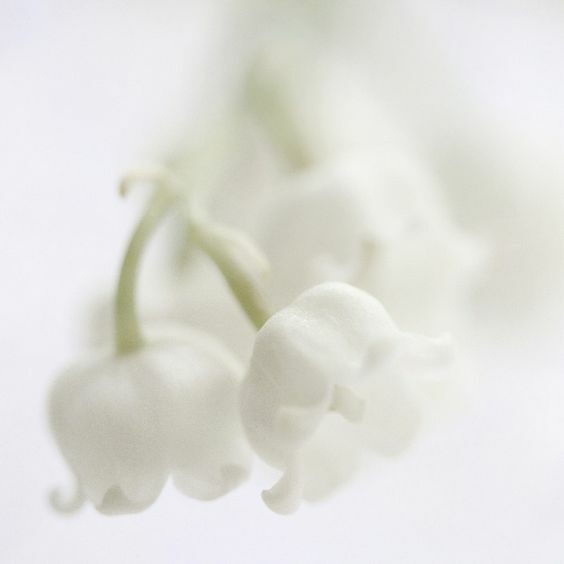 I know what you are, what you were prior to your 'I amness'. Before your parents met, I know you. I know your knowingness after your parents met, how it got transformed to various stages, how it developed in different images, I know all that. Suppose a person is a hundred twenty-five years old; since childhood he has grown into vari?ous stages, learned a lot worldly things. Now whatever he has learned or gained, everything has gone, and he is lying on a bed, and what remains now? Only that child-consciousness, that child-ignorance, remains. And that also will go. Will it go to heaven or hell? No; the ignorance has sprung up and the ignorance will disappear. Q: The question then is, if that ignorance can disappear only through that process of time or can it be stopped now? M: Even in between. It is sustained by food and water. If this is not supplied it will go, disappear. Q: But it has gone in the case of Maharaj and there is a supply of food and water there. So what I am asking is, is that process inevitable, or can it just end now? M: You have to meditate. It won't be available free. The necessary threshold is through consciousness only. You have to imbibe and be consciousness. In the process of being in the consciousness, you come out of it, and there you see; and meditation is the only remedy. Q: The more you get into consciousness, the more im?possible it seems to transcend it. M: Give it a fair trial. Be in beingness. Try to be in beingness. You won?t get it here and now. Step number one is: Be yourself, be in your beingness only. Although, to start with, I am the Immanent Spirit 'I Am' you have to be in that beingness without the body sense. You feel that you are the body now, but when you abide in that beingness you will know then how you are without the body. But don't forget, at the same time, that body and vital breath are very neces?sary. Once you understand these three entities correctly [body, vital breath and the message 'I Am'], then you are apart. The knower of these three entities will not be caught by the parents. 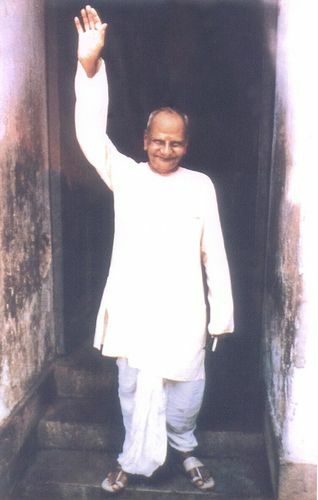 Q: When Maharaj was immersed in his beingness, what exactly did he understand that made him transcend consciousness? M: You know TV? Meditate and you will know as tangibly as you see TV. You will see then: I am not the TV screen, the observer of TV is not in the set. In the process of meditation, more knowledge will be awakened, will be real?ized by you, and, in the same process, you will understand that whatever you have understood you are not. Q: That's why I was saying before that the more con?sciousness was conscious of itself, the larger the concept, the knowledge. M: Yes, it will happen, a living cosmos, a million uni?verses are in your consciousness. Q: What about the knower? M: The knower and whatever is known, both will go. Nothing will remain stable, permanent. This triangle, father, mother, and you, how did it happen? Inquire about that, meditate on that. Q: Isn't it the same thing, father, mother, and I; just a flow of that consciousness? M: Don't talk, try to understand. Just talking about eating will not fill your stomach, you have to actually eat. You will not get eternal peace with knowledge derived out of words, only by Self-knowledge, Self-realization. considered peculiar in the world. essence of the five elements is this momentary sense of presence, as compared to eternity. continue to change in the course of time, is purely seasonal. yourself, it is nothing but a concept. Just understand what you are, and carry on your daily life to the best of your ability. Questioner: I was here last year. Now I am again before you. What makes me come I really do not know, but somehow I cannot forget you. Maharaj: Some forget, some do not, according to their destinies, which you may call chance, if you prefer. Q: Between chance and destiny there is a basic difference. M: Only in your mind. In fact, you do not know what causes what? Destiny is only a blanket word to cover up your ignorance. Chance is another word. Q: Without knowledge of causes and their results can there be freedom? M: Causes and results are infinite in number and variety. Everything affects everything. In this universe, when one thing changes, everything changes. Hence the great power of man in changing the world by changing himself. Q: According to your own words, you have, by the grace of your Guru, changed radically some forty years ago. Yet the world remains as it had been before. M: My world has changed completely. Yours remains the same, for you have not changed. Q: How is it that your change has not affected me? M: Because there was no communion between us. Do not consider yourself as separate from me and we shall at once share in the common state. Q: I have some property in the United States which I intend to sell and buy some land in the Himalayas. I shall build a house, lay out a garden, get two or three cows and live quietly. People tell me that property and quiet are not compatible, that I shall at once get into trouble with officials, neighbours and thieves. Is it inevitable? M: The least you can expect is an endless succession of visitors who will make your abode into a free and open guesthouse. Better accept your life as it shapes, go home and look after your wife with love and care. Nobody else needs you. Your dreams of glory will land you in more trouble. Q: It is not glory that I seek. I seek Reality. M: For this you need a well-ordered and quiet life, peace of mind and immense earnestness. At every moment whatever comes to you unasked, comes from God and will surely help you, if you make the fullest use of it. It is only what you strive for, out of your own imagination and desire, that gives you trouble. M: Absolutely. Accept life as it comes and you will find it a blessing. Q: I can accept my own life. How can I accept the sort of life others are compelled to live? M: You are accepting it anyhow. The sorrows of others do not interfere with your pleasures. If you were really compassionate, you would have abandoned long ago all self-concern and entered the state from which alone you can really help. Q: If I have a big house and enough land, I may create an Ashram, with individual rooms; common meditation hall, canteen, library, office etc. M: Ashrams are not made, they happen. You cannot start nor prevent them, as you cannot start or stop a river. Too many factors are involved in the creation of a successful Ashram and your inner maturity is only one of them. Of course, if you are ignorant of your real being, whatever you do must turn to ashes. You cannot imitate a Guru and get away with it. All hypocrisy will end in disaster. Q: What is the harm in behaving like a saint even before being one? M: Rehearsing saintliness is a sadhana. It is perfectly all right. provided no merit is claimed. Q: How can I know whether I am able to start an Ashram unless I try? M: As long as you take yourself to be a person, a body and a mind, separate from the stream of life, having a will of its own, pursuing its own aims, you are living merely on the surface and whatever you do will be short-lived and of little value, mere straw to feed the flames of vanity. You must put in true worth before you can expect something real. What is your worth? Q: By what measure shall I measure it? M: Look at the content of your mind. You are what you think about. Are you not most of the time busy with your own little person and its daily needs? The value of regular meditation is that it takes you away from the humdrum of daily routine and reminds you that you are not what you believe yourself to be. But even remembering is not enough -- action must follow conviction. Don't be like the rich man who has made a detailed will, but refuses to die. Q: Is not gradualness the law of life? M: Oh, no. The preparation alone is gradual, the change itself is sudden and complete. Gradual change does not take you to a new level of conscious being. You need courage to let go. Q: I admit it is courage that I lack. M: It is because you are not fully convinced. Complete conviction generates both desire and courage. And meditation is the art of achieving faith through understanding. In meditation you consider the teaching received, in all its aspects and repeatedly, until out of clarity confidence is born and, with confidence, action. Conviction and action are inseparable. If action does not follow conviction, examine your convictions, don't accuse yourself of lack of courage. Self-depreciation will take you nowhere. Without clarity and emotional assent of what use is will? Q: What do you mean by emotional assent? Am I not to act against my desires? M: You will not act against your desires. Clarity is not enough. Energy comes from love -- you must love to act -- whatever the shape and object of your love. Without clarity and charity courage is destructive. People at war are often wonderfully courageous, but what of it? Q: I see quite clearly that all I want is a house in a garden where I shall live in peace. Why should I not act on my desire? M: By all means, act. But do not forget the inevitable, unexpected. Without rain your garden will not flourish. You need courage for adventure. Q: I need time to collect my courage, don't hustle me. Let me ripen for action. M: The entire approach is wrong. Action delayed is action abandoned. There may be other chances for other actions, but the present moment is lost -- irretrievably lost. All preparation is for the future -- you cannot prepare for the present. M: Acting in the now is not much helped by your preparations. Clarity is now, action is now. Thinking of being ready impedes action. And action is the touchstone of reality. M: You cannot live without action, and behind each action there is some fear or desire. Ultimately, all you do is based on your conviction that the world is real and independent of yourself. Were you convinced of the contrary, your behaviour would have been quite different. M: In other words, you are convinced of the reality of your circumstances, of the world in which you live. Trace the world to its source and you will find that before the world was, you were and when the world is no longer, you remain. Find your timeless being and your action will bear it testimony. Did you find it? Q: No, I did not. M: Then what else have you to do? Surely, this is the most urgent task. You cannot see yourself as independent of everything unless you drop everything and remain unsupported and undefined. Once you know yourself, it is immaterial what you do, but to realise your independence, you must test it by letting go all you were dependent on. The realised man lives on the level of the absolutes; his wisdom, love and courage are complete, there is nothing relative about him. Therefore he must prove himself by tests more stringent, undergo trials more demanding. The tester, the tested and the set up for testing are all within; it is an inner drama to which none can be a party. Question: Then who am I? which is refused (what remains) is that rejection. Q: Maharaj knows I do not know what I am. Why is he asking me? concept, then I prefer my appearance. Q: Since Maharaj is only talking to consciousness, he will not talk to my ignorance. yourself with all these concepts. Q: Maharaj is taking everything away from me. I have nothing to hold onto -I will fall. M: You will be broken into how many pieces with that fall? With all that, do what you like! Another person is searching for himself, but you are hiding. in the ultimate analysis. How can there be the experience of the truth? It is prior to the beingness. Q: What can one do for the continuance of that experience? consciousness, which is bound by time. Q: How does one go beyond time? you cannot go into that. Q: Can we come out of it knowingly? know that first. What is your step? You want to step out of time. What is time? M: Not at all, time means space. Q: There is separation in space. have the knowledge that birth means misery? Q: Pain of birth, not the knowledge. M: Just by playing with words and concepts, you will not be emancipated. Q: What should one do? M: Don't even accept the concept that you have to do anything. Q: What should I do with the pain? M: The way it has come, it will go. Q: Have I to become idle? you assimilate it thoroughly? Whatever Maharaj tells you, you try to absorb it through concepts. Questioner: I have so many questions to ask that it is chaotic. Q: I don't know my Self, how can I reach that point, how can I come to that? of the body, therefore how can you know your Self? Q: How can I experience my Self? M: Is it because of the body that you do not see your Self? Q: Perhaps because "l am". you were prior to the label or title, be that. Q: Is it intuitive, not of the mind? M: Don't employ the mind, do nothing. Q: Should you not be aware? and just be. Don't be carried away by concepts. Truth is eternal; whatever you can grasp is unreal. Amness", but presently you have to abide in your "I Amness". truth. Whatever you are prior to the appearance of "I Am", that is your true nature. Questioner: What is it like to live with no concepts? M: Any answer given to you will be a concept. Q: How can one know that he is beyond concepts? prior to the arising of this consciousness. That, itself is, sufficient. Q: How can one differentiate between just having the thought of it and living it? about that state which exists prior to its arrival? conviction is that all is temporary, and does not reflect your true state. V: When I do what Maharaj tells me, it is very clear. It is still in an infantile stage, but my sense of 'me' is completely undone, and there arises great happiness, peace and clarity; but it comes and goes, and I forget. M: Its inherent nature is time-bound. It has appeared as childhood and it is there now; but it wasn't there some years back. So you cannot possibly say that it is the Eternal. So don't believe that it is true. And so long as you are having this 'I'-consciousness, you will be trying to acquire things; so long as you know that you are, the things that you possess have an emotional significance to you. Now there is the fact that your 'I'-consciousness itself is time-bound. So when this dissolves, what is the value of all those things which you possessed?